He's risen to the ranks of the game's top shutdown defenceman, someone who's called on to take on the league's top players on a nightly basis. Yet the irony of it all is that when Rob Scuderi is at his best, you likely won't have noticed him at all. His game isn't built on flash, nor is it centred on putting up huge offensive numbers. Yet Scuderi, in his second season as a member of the Los Angeles Kings' blueline corps, is every bit as valuable as any player in the lineup. What would be the definition of a good game for Scuderi? “That people didn't notice me,” offered the New York native, who signed a four-year contract as a free agent with the Kings in 2009. Scuderi's blue-collar work on the blueline has been a boon for the Kings, a team that showcases one of the league's most well-rounded back ends, a group that boasts a mix of offensive and defensive rearguards. It was just one of the reasons Scuderi decided to sign with the Western Conference club. “I hope they weren't looking for me to put up big numbers,” chided Scuderi, who attended Boston College, where he was selected in the fifth round, 134th overall, by the Pittsburgh Penguins in the 1998 NHL Entry Draft. “I wanted to provide steady defensive play and I think I've done that. I also wanted to bring some leadership as well. 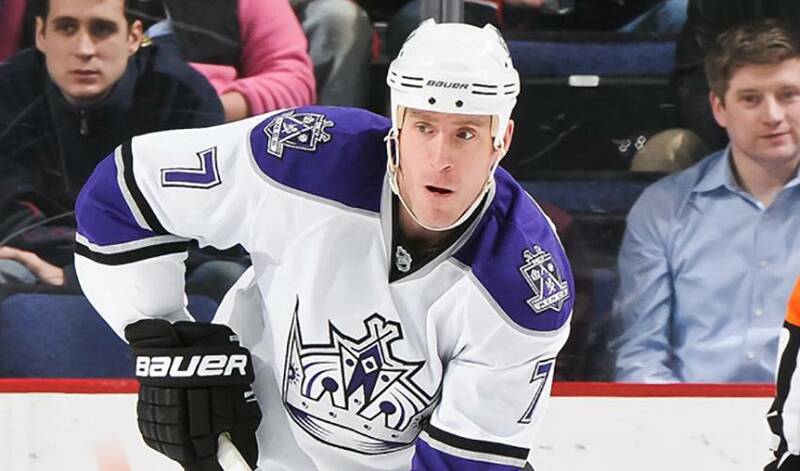 It's obvious why the Kings wanted Scuderi. During their Cup-winning campaign of 2008-09, Scuderi led the Pittsburgh Penguins with a plus-23 rating, while recording a career-high 16 points. He also logged a career-best 81 regular season games and led his team with 164 blocked shots and an average of 3:47 of short-handed ice time. In the 2009 Stanley Cup playoffs, Scuderi added five points in 24 postseason games while logging an average of 20:29 of ice time per game (second among D-men, fourth overall). He also assisted on the game-winning goal in Game 7 against Detroit, helping the Penguins win their third championship. The transition to life in the Western Conference was smooth skating for Scuderi, who finished as Boston College's all-time games played leader (168 career games played) and helped lead the school to a NCAA Championship during the 2000-01 season and was named to the All-Tournament Team. “Nothing has really changed for me when it comes to hockey,” said Scuderi, who debuted for the Kings on October 3, 2009 and tallied his first point, an assist to Ryan Smyth, in an October 8 win versus the Minnesota Wild. “In terms of straight hockey, there hasn't been any change playing in the East versus the West. That's certainly been the case in 2010-11, a season that has had its' share of both good times and bad for Los Angeles. And with the regular season finish line in sight, Scuderi, for one, won't be eyeing the standings as the playoffs near. Although it's the most pressure-packed point of the season, Scuderi has found one place in particular that affords him and his family a respite from life in the wild, wild West. “It was a big change for me, my wife and the kids coming from the East Coast to the West Coast. At first, you need to get accustomed to different things. But as time goes by, you really start to enjoy what it has to offer. You feel very fortunate. One thing Scuderi won't be pursuing, however, is surfing. Even is surfing actual waves isn't his thing, Scuderi is hoping to help the Kings ride a wave of momentum into the 2011 NHL playoffs.